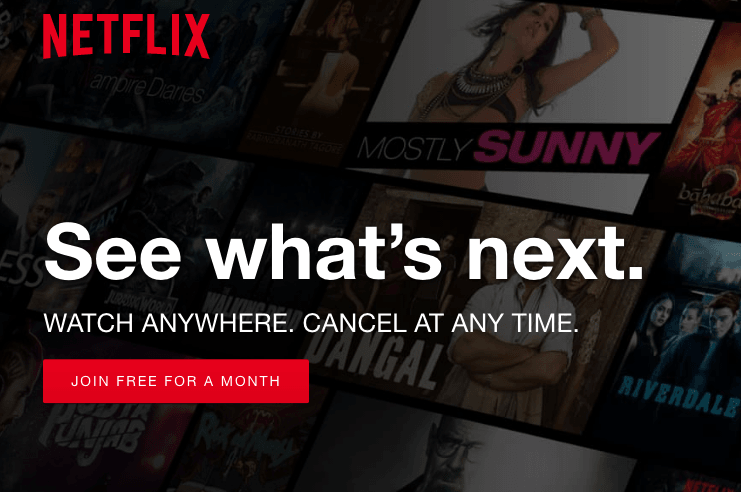 3 How to Activate Netflix Free Trial? 4 How to Cancel Netflix Free Trial? Before proceeding ahead with the Trick and Guide, let’s first understand few things about Netflix. Netflix is an American company (since 1997) which provides online streaming of movies and TV shows. You can watch your favorite movies, show or Webseries on demand. To try Netflix you can opt for the Netflix Free Trial and Enjoy Exclusive TV Shows & Movies for Free for 30 Days or more (Netflix Free Trial 3 Months). As mentioned before, Netflix currently offers different plans fulfilling different requirements of the Subscriber. Netflix is providing it’s services in most of the major countries such as UK and US including India too. Also, Available in Ultra HD Option that can be used on your smart Ultra HD TV. 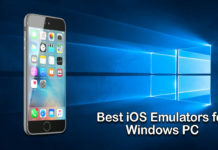 You can use multiple devices like laptop, TV, Tablet and Smartphone. Here is quick overview of the Netflix Latest Plans for the year 2018. These plans can be enjoyed or subscribed for 30 days absolutely free under Netflix 1 Month Free Trial. CHECKOUT – How to Easily Fix Black Screen on iPhone X? How to Activate Netflix Free Trial? Here is step-by-step guide on How to Activate or Get Netflix Free Trial Account of any Netflix Plan. Step 1: First, Visit the Netflix Website Clicking Here. Step 2: You will see a Introductory Demo Page. Just click on “JOIN FREE FOR A MONTH” button to begin Netflix Trial Signup. Step 3: Next, you have to Select or Choose your Choice Netflix Plan. 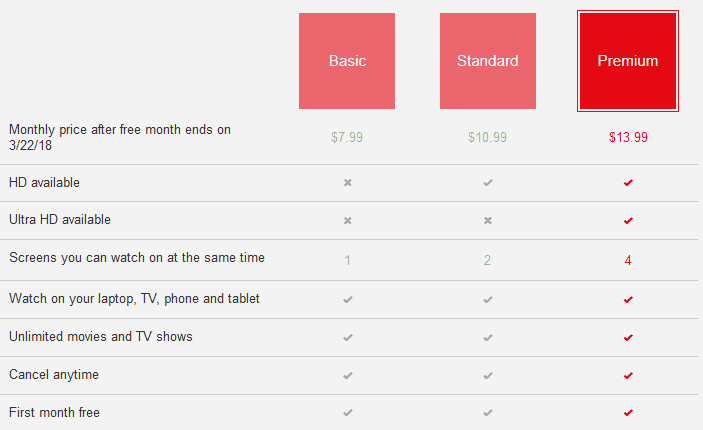 You can even select the Netflix Premium Plan and enjoy the benefits for free for a month. So just click on SEE THE PLANS and you will get a Screen showing the available plans with their benefits. Basic Plan (Trial) – Stream at SD Quality with 1 Screen at once. Thereafter You will be Charged $8/month. Standard Plan (Trial) – Stream at HD Quality with 2 Screens at once. Thereafter You will be Charged $11/month. Premium Plan (Trial) – Stream at HD + Ultra HD Quality with 4 Screens at once. Thereafter You will be Charged $14/month. Press CONTINUE after you select the Plan. Step 4: Now, Enter your Email and Password to Signup for a Netflix Account. Note: You’ll get free access to any Netflix Plans for 1 month, thereafter you will be charged to continue your Netflix Premium Membership. You can simply cancel the free Netflix trial account before the Trial ends. The Guide to Cancel the Netflix Trial is added below. 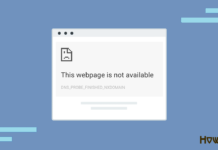 YOU MAY ALSO LIKE: How to Fix “Service Host: Local System” Using Up All the Resources? How to Cancel Netflix Free Trial? In order to Cancel the Netflix Free Trial Account after 30 trial days or before the Free Trial Expires, just follow these steps below. If you don’t cancel or if you wish to continue using Netflix Plans then you will be charged as per your selected Netflix Plan. Step 1: Visit Netflix Website, Login to your account and head over to your Netflix Profile. Step 2: Select Your Netflix Account in the Drop down menu. Step 3: Now in the left sidebar, you will find MEMBERSHIP & BILLING Section which includes the option to CANCEL MEMBERSHIP. Just click that Button. That’s it. You have successfully cancelled the Netflix Membership or Netflix Subscription whether it is Netflix Free Trial or Paid Plan. Here are some methods to Get Netflix Premium Account or Netflix Trial Account for Free without using your own hard credit card. The trick is to use the virtual cards provided by some online wallet websites or apps. So, we are going to Signup at such websites which provides Virtual Credit Card and using those Cards we can activate or get Netflix Free Trial Account. This way, we avoid using our own Credit Card and there’s no question of getting charged! Let’s check such sites one by one with the steps to follow. 1. Visit Wirex Website by Clicking Here. 2. Login or Sign up for a Wirex account and Verify it. 3. After successful Sign-up, go ahead and fill your Profile Information. 4. Then, Tap on “Order Card” option. 5. Now, choose your currency (USD, EUR or GBP). 6. Submit your Currency and you will instantly get your Wirex Virtual Card for free. 7. So it’s now the time to activate or register for Netflix Trial Account. 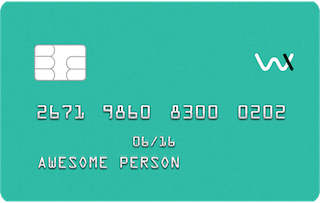 Use your Wirex Virtual Credit Card to Enjoy Free Netflix Trial Account. 8. That’s It!! Enjoy Latest Premieres and TV Shows on Netflix for free. Pockets App by ICICI Bank also provides Virtual Card for Free using which you can register for Netflix Trial Account. But well, this works in India only. So if you are Indian then follow the steps below. 2. Login or Sign up for your ICICI Pockets Account. 3. Complete the signup process on ICICI Pockets App. 4. In Account Section or Home Screen, you can see a Virtual Credit Card (Card Number, CVV, Expiry Date). 5. Just use those Virtual Card Details to Sign up for a Netflix Premium Trial Account. One more Indian Virtual Credit Card Provider App. This is new and working fine. So Indian Readers can try this. 2. Login or Sign up for your Paytm Account. 3. Complete the signup process on Paytm App. 4. Now Apply for a Paytm Payments Bank Account. 5. Complete all the required Paytm Payments Bank Requirements (eKYC Process, etc). 6. Now, after successful verification by Paytm, you can see a Virtual Credit Card (Card Number, CVV, Expiry Date). 7. So use the Paytm Payments Bank Virtual Credit Card to Sign up for a Free Netflix 30 Days Trial Account. In Order to Sign up for a Netflix Trial Account without Credit Card or Debit Card, you can use Paypal. You will need PayPal Verfied account to do so. Just follow the steps below. 1. Visit Netflix Official Website by Clicking Here. 2. Then, Click on “Join Free for a Month” to begin Netflix Trial. 3. Choose your Netflix Plan. 4. Now, Enter your Email and Password and signup for a Netflix Account. 5. On the Payment Page, select PayPal and Login with your PayPal account. 6. That’s it. So this was one more easy way to Signup for Netflix Trial Account without Credit Card. Hope this helps. Here are some frequently asked questions and their answers in the simplest way possible. Do check them if you are into any dilemma or having any query. Question: What is the Price and Validity of Netflix Trial? Netflix Trial is Absolutely Free and the Validity is of 30 Days i.e., One Month. You can activate and Enjoy any of the available Netflix Plans for free under Netflix Free Trial. Question: Is there any Offer or Code available to Activate Netflix Free Trial for 3 Months or More? Well, as of now, we didn’t find any on-going offer or trial code to activate Netflix Free Trial for 3 months or 6 months or more. 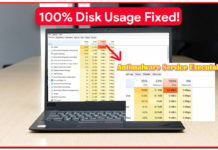 You can currently only enjoy Free Trial for 30 Days. In future, if we find any then we will update here. So stay tuned and keep checking. Question: Is there any harm in using my own Credit Card to Activate Netflix Free Trial? No. There’s no harm. 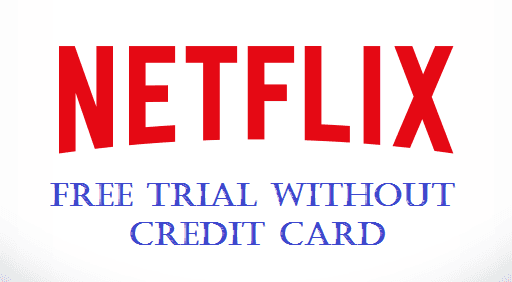 You can use your own credit card to get Netflix Free Trial but you i.e., your Credit card will be charged once the Netflix Trial expires. Though, you always have an option to cancel the subscription anytime, but if you wish to avoid any charges then don’t forget to Cancel the Netflix Trial Subscription before Trial expires.